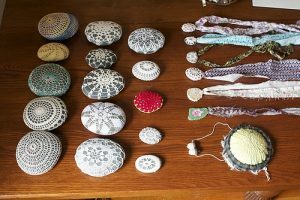 So you’ve dreamed of being able to sell your handmade crafts for a living and be your own boss. Chances are your dreams of getting rich doing it are big, but your knowledge on how exactly to achieve that isn’t quite polished. When setting yourself up to run a successful Etsy shop, consider that there are various factors that really set successful shops apart from the rest. Some shops are barely skating by, with one or two customers a month, while other businesses are gaining one to two customers a second! It’s completely possible to be a successful Etsy store owner if you apply the secrets of the Etsy masters. One of the biggest mistakes you can make when opening up a store is trying to cut corners and offering mediocre or subpar products. By offering your clients poor quality, you are most likely not going to have return customers, which can be one of your biggest sources of revenue. Make sure that everything you sell is high quality and fairly priced. This way you ensure that you have happy and satisfied customers who will not only return to buy more products, but will share your store with their friends. Before diving into becoming a first time business owner, do yourself a favor and research the best business tips you can get your hands on. Many of these tips can be found for free online, or in books which you can check out from the library. Consider interacting with Etsy shop owners that you see are thriving, and don’t be shy to ask them for some tips. Some of them may be too busy, but you may be surprised to find that many of them were once budding and aspiring newbies just like you. They may just be delighted to pay it forward the same as someone once did for them. Replying to customers comments and concerns is the best way to build a relationship with your audience. If a customer sends a message complimenting your work, or sending feedback, even if it’s not so positive, reply back! By building a rapport with your customers you are encouraging customer satisfaction and building a sense of community in your store. Don’t be quick to dismiss negative customer feedback. Often even the most negative of customer reviews, has some sort of grain of truth that is worth being examined. Always diplomatically thank your customer for their feedback and make an effort to incorporate the ideas for improvement into your next batch of products. By learning from your mistakes, and taking feedback into consideration, you are setting yourself up for improvement.